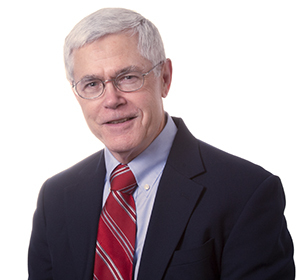 Robert (Bob) Christin advises clients on all issues related to Federal Energy Regulatory Commission (FERC) jurisdiction over the natural gas industry, including matters under the Natural Gas Act, Natural Gas Policy Act, National Environmental Policy Act, and other relevant statutes. He currently is working with pipeline companies to build several new projects, and advising clients on jurisdictional issues involving pipeline gathering systems and regulations for building and expanding natural gas storage facilities. Bob’s 27 years of service at the FERC provide him with a depth and breadth of knowledge that support all components of natural gas pipeline construction projects, including applying for FERC certificates, presenting projects and exhibits to FERC staff in pre-filing mode, and applying new procedures and regulations to pipelines and gas storage facilities according to the Energy Policy Act of 2005, Natural Gas Act and Natural Gas Policy Act. Provided legal counsel and prepared application to the FERC that resulted in authorization to abandon 400+ miles of interstate gas pipeline for conversion to oil transportation. Prepared application to the FERC for a natural gas pipeline to transfer (abandon) several hundred miles of underutilized pipeline system to state regulation. Provided legal memoranda and counseling to support construction of interstate pipeline lateral and compression under self-implementing authorization of section 311 of the Natural Gas Policy Act instead of under certificate process of the Natural Gas Act. Performed review of interstate gas pipeline company’s internal procedures to verify compliance with FERC regulatory requirements. Principal author of Considering the Public Convenience and Necessity in Pipeline Certificate Cases under the Natural Gas Act, Vol. 38, Energy Law Journal (2017). Teaches annual class at the Center for Pipeline Utilities on the pipeline certification process under the Natural Gas Act and regulation under section 311 of the Natural Gas Policy Act. Instructor, "FERC Ratemaking Under the Natural Gas Act"